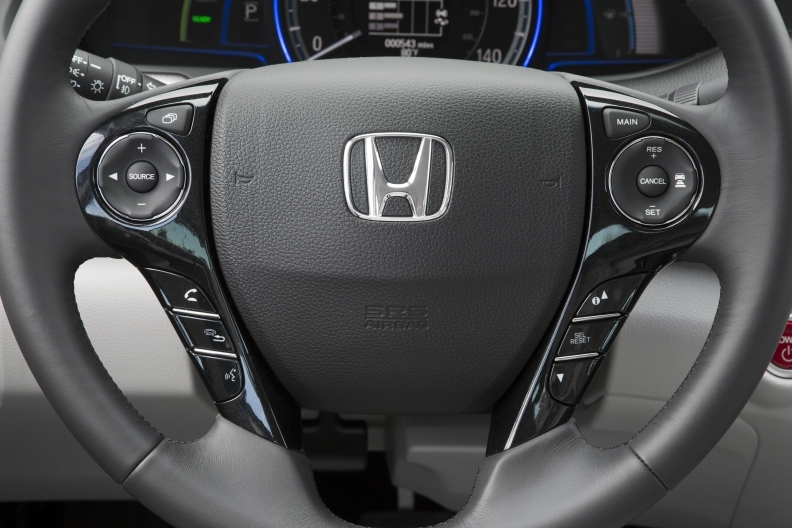 Honda Canada has issued airbag recalls for 970,000 vehicles and has warned that replacement parts won't be available before late 2016. Not one Takata airbag is known to have misfired in Canada, yet the impact of a worldwide recall for the safety-device-gone-wrong is resonating across the country's auto sector. Already, 4.3 million airbags have been recalled in Canada to replace inflators that can explode with too much force and scatter shrapnel through a vehicle cabin. Globally, the recall could top 100 million units by 2019; the car industry's largest recall ever. The cost of replacing all these devices, when the bill is finally totalled, will also be mammoth, and not just for Japan-based Takata Corp. and the multiple automakers it supplies. Canadian car dealers, caught with vehicles on their lots that can't be sold until repairs are made, are pressing for compensation. For regulators, meantime, the airbag debacle could add impetus to plans to toughen Canada's recall laws. And all for inflators believed to pose little risk unless exposed to years of high heat and humidity that can cause their ammonium nitrate-based propellant to degrade. "Canada simply does not have those conditions, and so the risk in Canada is very low," says Leif Stephanson, Transport Canada's director of motor vehicle regulations. In hot climates, as many as 13 deaths have been linked to detonators rupturing in collisions. In April, a Texas teenager bled to death when a shard from a metal airbag canister in her 2002 Honda Civic pierced her jugular vein. Because of this, replacement airbags are being sent first to southeastern U.S. states and other hotspots. But the prioritized distribution -- and the complexity of a recall involving vehicles from 14 automakers going back to the 2001 model year -- could mean months-long delays for some Canadian repairs. Honda Canada, with 970,000 vehicles recalled, has warned recipients of its latest round of notices that replacement parts won't be available before late 2016. It is offering waiting customers loaner cars or reimbursement for alternate transportation. Neither Honda nor Toyota Canada, with 415,000 vehicles recalled, would disclose how many airbags have already been replaced. FCA Canada reports it has serviced more than 31 per cent of some 400,000 vehicles recalled in 2015 for passenger bag replacement -- many of the same Chrysler products were recalled last month for driver airbags -- and is ready to fix more. "We have tens of thousands of replacement parts available," says FCA safety spokesman Eric Mayne. "We urge affected customers to contact their dealers to schedule service." FCA announced it would switch to an alternate design in late June in North America for its Jeep Wrangler, its last model containing Takata airbags lacking a desiccant to absorb moisture. Of a handful of other carmakers using the design, Honda Canada says it has told dealers not to sell vehicles subject to recall until they can be serviced, and Toyota Canada has posted on its website a list of 2015 and 2016 models with the older detonators. The airbag recall, and a general rise in safety recalls, have become "a rising issue" for retailers who find themselves stuck with inventory they cannot sell, says Huw Williams of the Canadian Automobile Dealers Association. The group is examining dealer compensation agreements in the U.S. as potential models for Canada. Trade-ins can be a particular problem for dealers who lack easy access to parts and information from brands other than their own. "It adds an extra layer of complication because you've got different knowledge bases, depending on which manufacturer you are dealing with," says Williams. Legislation now before Parliament would give the federal transport minister the power to order automakers to issue recalls and pay for repair costs. Currently the government can ensure compliance only through time-consuming criminal prosecutions. The law change had been proposed by the earlier Conservative government, but died on the order paper when the 2015 election was called.